- What challenge does mobile cause for eCommerce, and what benefits does mobile tech bring? - Uber is the poster child for frictionless payments. How far could this mode be extended? -Is going totally frictionless the right aim for consumer and merchant? - What will be the significance of in-browser payments? - Who is best placed to capitalise on frictionless payments? Card schemes? Tech companies? - What role do wallets have? 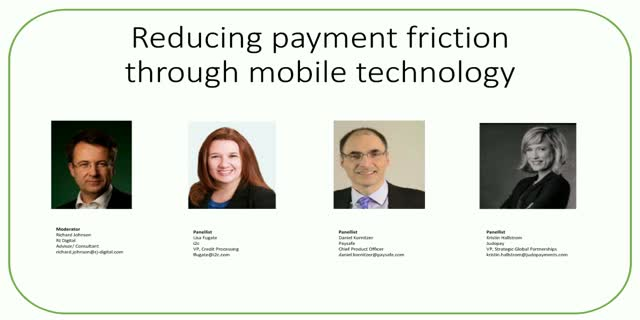 - What does this tell us about the future of payments beyond mobile (e.g. IoT).